Since Carol Kummet joined the Palliative Care Service at UWMC in September 2010 she has had a deep and lasting impact on patients, colleagues and the institution as a whole. I am honored to share Carol’s unique talents and the outstanding effect she has had on everyone fortunate enough to work with her. 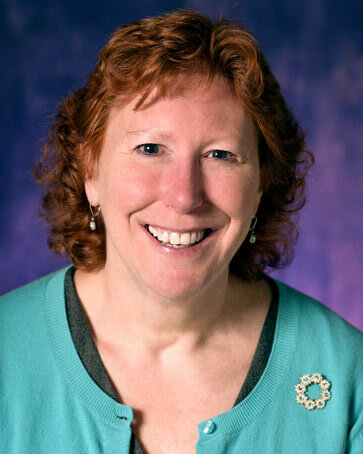 Carol came to UWMC with over 20 years of experience working in hospice providing grief and bereavement services. She has an infectious enthusiasm with a laugh that lifts everyone’s spirits, immense maturity, deep knowledge of grief, masterful clinical skills, extraordinary teaching skills, creative ideas and the ability to bring people together to implement positive change. I have rarely met a person who gets along so well with all walks of people and facilitates them to rise to their highest level. She has a well of energy and creativity that allows her to continually see opportunities that blossom into improved practices and new programs, benefiting patients, families, clinicians, support staff and the institution as a whole. Carol’s expertise in grief, bereavement and creating legacy has made a demonstrable difference in the level and quality of care we are providing patients, families and our staff. She is regionally recognized as a master clinician and teacher of grief, loss and legacy. Carol not only provides clinical care, she generously shares these skills throughout the organization through superb training to all of the PC team, and many of the nursing, social work and other staff. This has resulted in improved support and care for grieving patients and families. Carol has also helped our staff to recognize and deal with their own grief in more mindful and effective ways. Refresh and Reflect/Awakening the Heart of Medicine staff support group monthly on several floors for all clinicians especially nurses (developed, facilitated and maintained by Carol)-A monthly group where Carol meets with staff members on 4SE, 5E, 5SE, 6NE from 10-11:30am and once again from 10-11:30pm-The group offers a time for staff to refresh by sitting down to a service of tea, cookies and fruit. She softens the RN’s break room with linens, teapots, and decorative napkins and offers staff a time to reflect on their work by facilitating a discussion around topics related to the joy and stress of working with seriously ill patients. Attendance ranges from 12–15 staff members. Staff that have attended include RNs, patient care techs, physical therapists, dietitians, physician assistants, MDs, transport team, and Patient Service Specialists (ward clerks). Started and maintains the MICU quilt project where all patients on “comfort care” in the MICU have a “comfort quilt” that signifies to all providers the patient is on comfort care and also is a “legacy” gift the family takes home to remember their loved one. This has been of great comfort to patients, families and staff. The logistical effort to keep an adequate supply of quilts is challenging but Carol’s magic always finds a new source to meet the need. Facilitates monthly “Death Rounds” with physicians in training during there Oncology, Medical ICU and Surgical ICU rotations to provide grief support and education. Developing the “Comfort Carts” program to be strategically placed in the ICU that contain information and supplies to provide comfort to the families of patients who have died at UWMC. These carts will be ready for use January 2013. Thank you. Thank you. Thank you! For everything you do and everything you are! You have deeply changed my life, opened my eyes, and taught me lessons I will carry with me forever. You are such a beautiful person and I’m so grateful for the meaningful and inspiring friendship/working relationship we have shared. Thank you for jumping right in and being such a vital part of 5E and teaching us, mentoring us. You change lives and make the world a better place. It’s been such a pleasure and I’ll miss you and will carry all you taught me! I can think of no one at UWMC more deserving of this award.